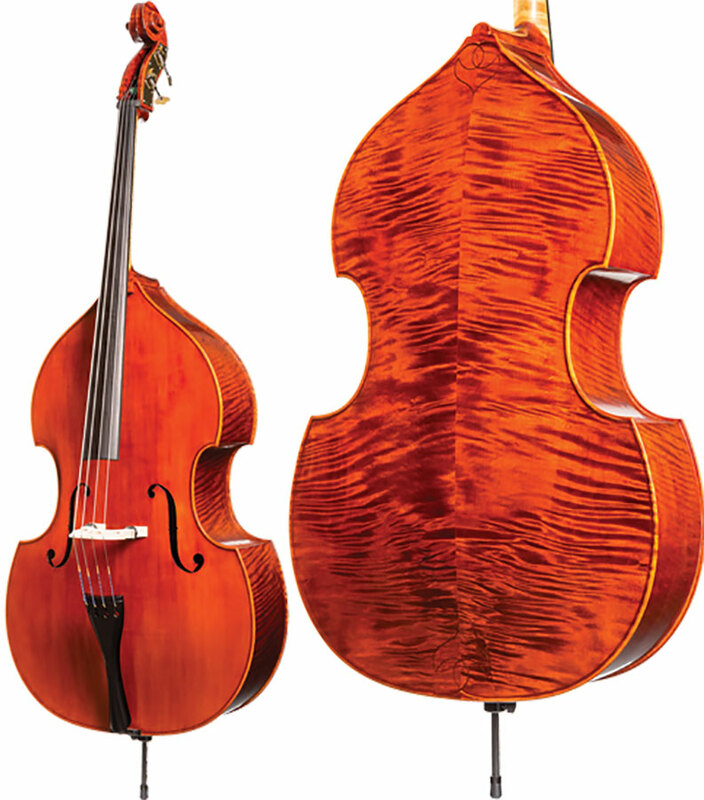 The August Kohr bass is a visually stunning bass that shines bright under the showroom lights. 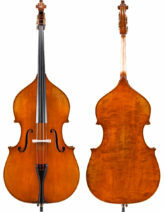 The glossy, rich orange-brown finish is transparent for an attractive appearance. 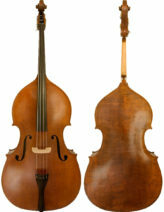 This is fully carved, with flamed well-aged maple back and sides, and a choice spruce top. It is fully handmade, hand-graduated and hand-varnished. This bass looks and sounds like German basses costing two and three times as much! Even tone throughout, with good sonority - fine sound! 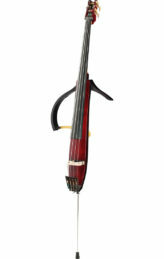 If you disregarded the price, you would consider this the August Kohr bass a master art instrument! Adjusted with D'Addario Helicore strings, endpin, ebony tailpiece and maple bridge with height-adjusting wheels. 3/4 only.